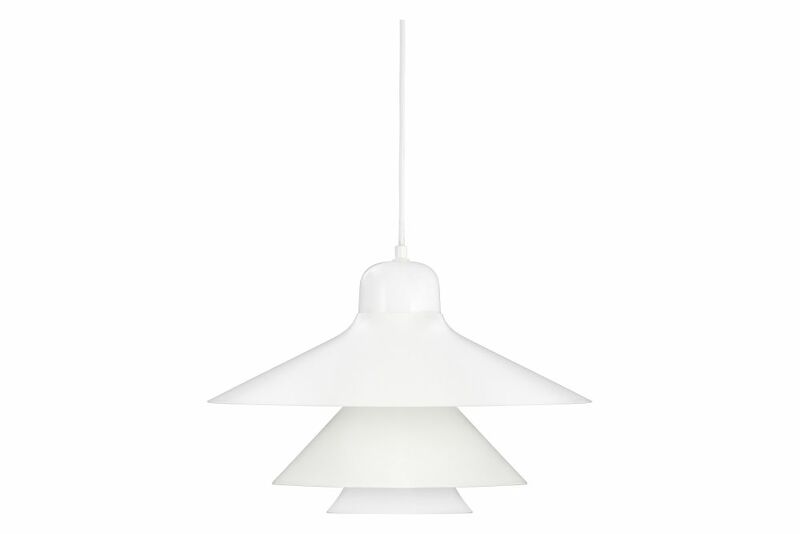 Ikono is a beautiful pendant lamp with a pure and simple feel. The lamp has a cone-shaped glass cylinder and two coloured steel shades in matching tones which rest on the glass. Together, these features go to make up a classic pendant lamp. The light is directed by the top shade while the lower shade ensures anti-dazzle. Ikono is well-suited for almost anywhere in the home. Use the large one for the dining table or hang the large or small one above the coffee table for cozy ambiance lighting. The small Ikono lamp is also perfect over the table top in the kitchen. Light source: G9 (halogen). We recommend using a 25 Watt bulb. A four meter long textile cord and fitting in matching color is included. Does not include a hook for the ceiling Clean with damp cloth.